Sometimes you want to go where everybody knows your name, and they're always glad you came. You wanna be where everybody knows your name. You wanna go where people know, people are all the same. You wanna go where everybody knows your name. 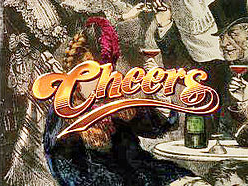 That's the theme song from the TV series "Cheers". What a beautiful description of community...church...fellowship. We all have an innate yearning to be accepted, to belong. Until we find our place, we go through life from one place to another to find that place where we are accepted, loved, and where we belong. We all have an innate need to be somebody - someone who matters, someone who makes a difference. We were made to make a difference. We all have a intense longing to know that our lives matter, that our lives contribute to something greater than ourselves. Our world needs a church like this song. Americans are among the loneliest people in the world. Today more than three-fourths of the American people live in metropolitan areas, more than two-thirds of those live in suburbs. We are surrounded by more people than ever before in the history of our country. With these undeniable benefits in place, how could a Gallop Poll rank us among the loneliest people in the world? Those were the words God used to describe humanity in isolation. It was the first time God looked at his creation and declared that it was not good. Up to this point, everything he created was good. But not this...not this isolation...We are made for community. We are made for each other. Deeper in our intimacy with God. Deeper in our relationships with one another. Deeper in our influence with our community. FOCUS groups (Small group ministry at LCOP) is the key to help us go deeper in our faith. We are currently taking registrations for the next series of FOCUS groups. Have you signed up for one? You belong in God's church. And one of the pathways of belonging in God's family is in the context of small groups. You really do belong in a FOCUS group.